Aisleway hedged with orange mokara orchids. White leather furniture accents the seating area. Draping of taffeta around the perimeter of the terrace area. Taffeta pillows designed to accent the decor colours. 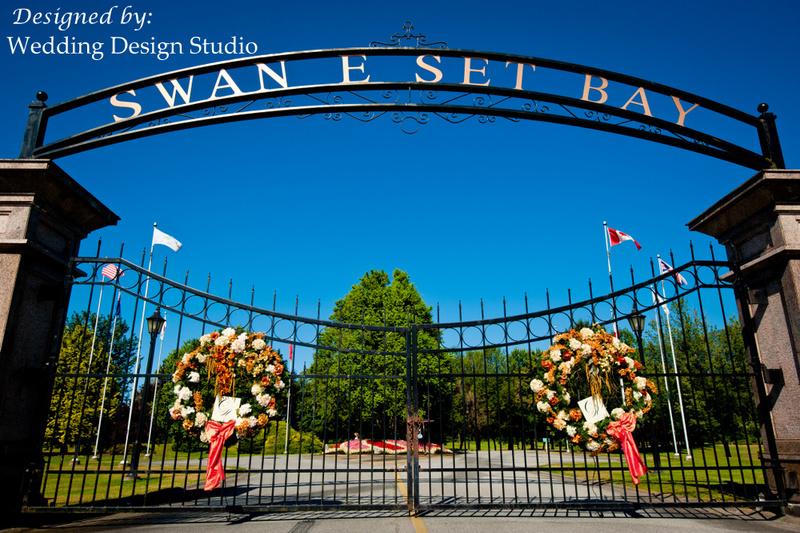 Seven foot wreaths to flank the gates leading into Swaneset, consisting of orchids, hydrangea, curly willow and roses. 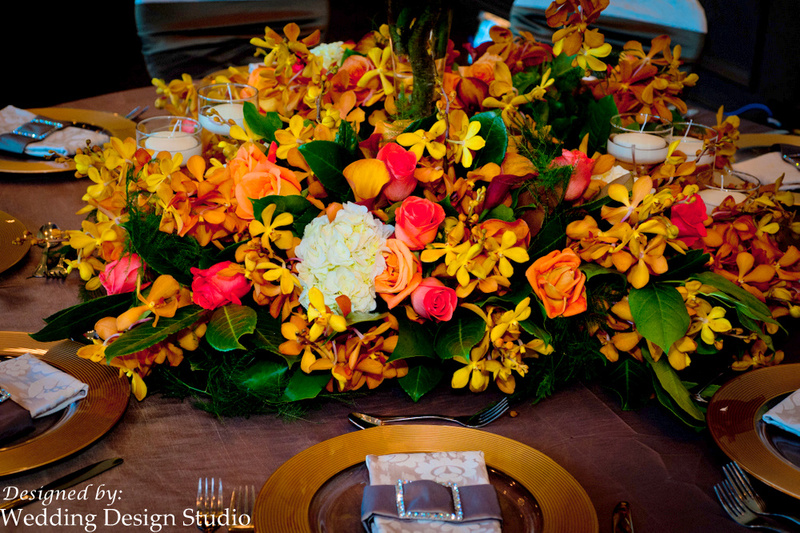 Each centerpiece flanked with a hedge of mokara orchids, three shades of roses, hydrangea. Solid glass charger plates rimmed with gold designed in Germany.Cream and white brocade linen napkins. 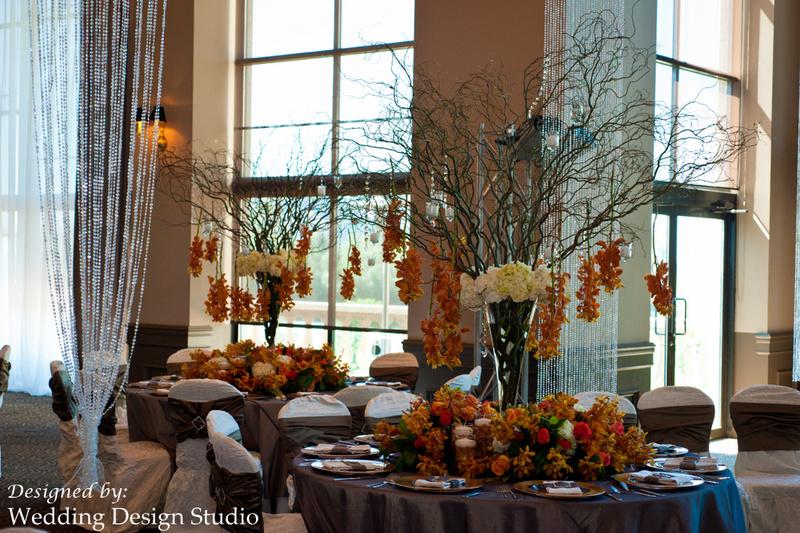 Eight feet tall centerpieces of curly willow, dripping with stems of mokara orchids, rimmed with hydrangea. Heavy textured cream brocade chair covers accented with taupe taffeta. Thanks Bruce, your video work is incredible!